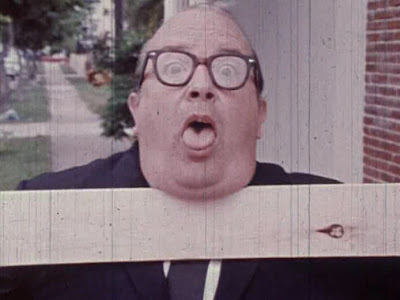 One Saturday, while visiting my Grandma, I found this show on Comedy Central where this guy and two robots were making fun of an old black and white movie. That show was Mystery Science Theater 3000, and I have been a huge fan ever since. After the show was cancelled, all I could do was exchange VHS copies of episodes with people online. There was a hole in my heart that could only be filled by cheesy movies that were being riffed. 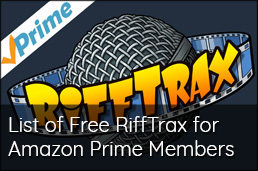 Imagine how happy I was when I discovered RiffTrax! My life was whole once again. With RiffTrax, Mike, Bill, and Kevin have been releasing short films, full length B-movies (in the same vein as MST3K), and audio files that are riffs of current movies being released on DVD, like The Avengers and the Twilight movies (some of the best riffs of all time). 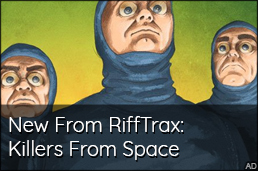 Getting started with RiffTrax can be daunting due to the size of their catalog, so I have decided to make a few lists of my favorite riffs to help get you started. 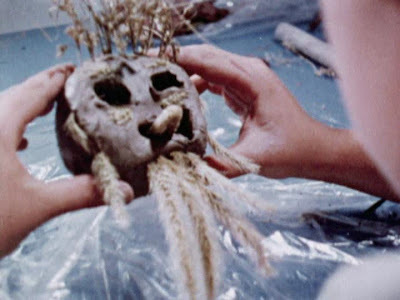 Let's get things started with five must-have RiffTrax Shorts, and may God have mercy on your soul. Anyone who suggests that you check out RiffTrax and doesn't suggest this short first is a terrible person. Not only is this the perfect example of the insanity found in most of their available shorts, but it also features the guys at their best. Plus, this is the film that dares to ask the question, "Is corn grass?" There is one animated gif from this short that shows you exactly why you need to buy it. Taking away a baby's pacifier, a grown man playing a children's game, and building LEGO sets. Drugs are like that. Note: This one is currently up on Hulu if you want to be cheap. This one is great for a number of reasons. The gif above is an excellent example, but this movie goes so much farther. There is actually a guy in it that says we eat too much junk food because of the invention of the automobile. And no, this movie is NOT done in claymation. 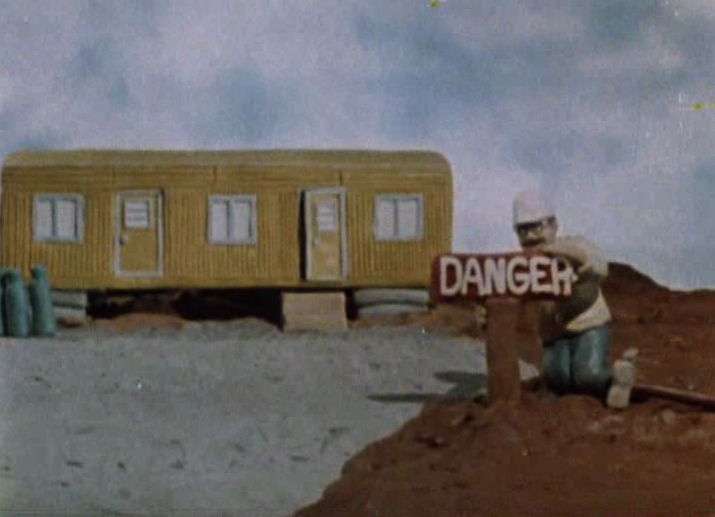 This is a wonderful Canadian safety film about the dangers of playing in construction sites. This movie has some of the best almost-action I have seen in quite some time. Damn kids kept missing nails and stuff though. There are so many glorious riffs available, it was extremely difficult narrowing it down to five. I will have more lists in the near future. Probably a lot of lists actually. 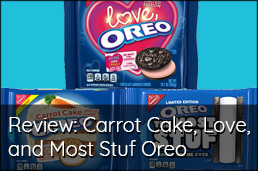 There is so much good stuff.